The Dripping Springs Founders Day Festival is an annual celebration of the pioneer spirit and founding of Dripping Springs, TX. Promoting community and volunteerism, this event will begin on Friday, April 26 and conclude on Sunday, April 28. Featured activities include the Grand Parade on Mercer Street, live music from local artists and even a carnival! There’s so much going on during this three-day event, but here are some of the things you definitely don’t want to miss at the Dripping Springs Founders Day Festival. The festival kicks off at 6:30 p.m. on Friday, April 26th with the Grand Parade. Starting on Mercer Street, the parade will march throughout downtown Dripping Springs. The theme this year is “Destination Drippin” and will celebrate the hometown heritage of Dripping Springs, TX. Get there early and bring a lawn chair to cheer on the parade, limited bleacher seating will also be available! Also, did we mention this event is free? The Grand Parade on Friday night is just the beginning of the Dripping Springs Founders Day Festival. Come back to downtown Dripping Springs, TX on Saturday or Sunday and take a stroll down Mercer Street while browsing unique items from over 150 different vendors! Mercer Street will host a variety of local artisans, selling various clothing, crafts, custom jewelry and other hand-made items. In addition to shopping opportunities, there will also be food vendors, live music and craft activities for the kids. 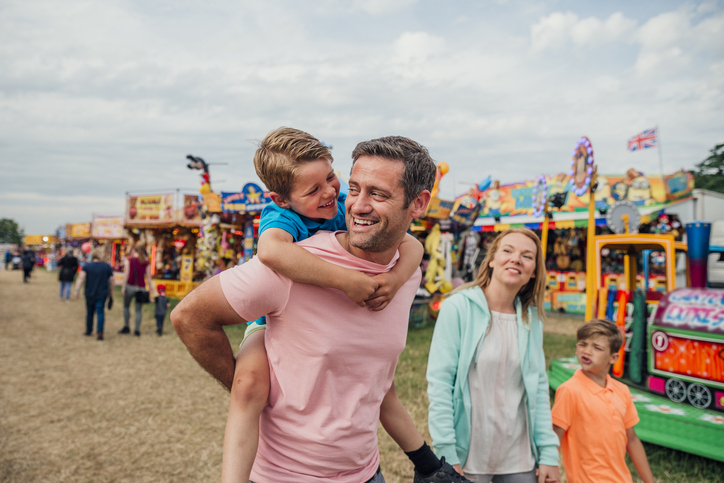 Make it a weekend your kids are sure to remember and spend a day at the carnival! The Mighty Thomas Carnival will feature popular rides, like a merry-go-round and a Ferris wheel. Your family can also indulge in sweet festival foods, such as cotton candy and candy apples. Tickets for the carnival are on sale now until April 26! Check out this list of local businesses in Dripping Springs, TX where you can purchase half-price festival tickets for you and the family. Celebrate years of tradition and create new traditions at the Dripping Springs Founders Day Festival. The family-friendly event is the perfect way to spend your weekend when you live at Caliterra in Dripping Springs. If you’re looking to make more memories with your family, check out our website for other exciting things to do near Caliterra. You can also connect with our master-planned community in Dripping Springs on Facebook, Instagram and Twitter. Image via GettyImages. Creative number 474611714.